This monitor boasts high-quality factory calibration. For extra convenience, you can adjust tilt, swivel, height, and pivot (both 90 degrees clockwise or counter-clockwise). 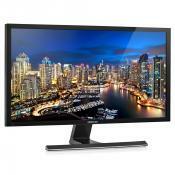 Sharp QHD resolution and ultra-wide 178°/178° viewing angles provide a realistic image. The anti-glare coating might create 'graininess' on bright photos. This is the best photo editing monitor for savvy photographers who are looking for a premium-class device in order to create the best photos ever. The human sensor and ambient light sensor automatically pick the proper display brightness. LED backlight technology provides low power consumption. The quick-release stand is very comfortable in use. The monitor is a little bit pricey, but it is worth every cent. 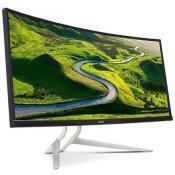 Stylish NEC monitor is perfect not only for photographers but also for designers and architects. It includes a color calibration sensor and SpectraView II software for stunning color accuracy. The SplendidPlus Video Intelligence technology makes display adjustment for specific task fast and easy. 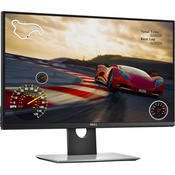 Besides top-notch specs and functionality intended for professionals in photo- and video editing, this monitor offers the opportunity to watch movies and play demanding games with utmost comfort. The SuperClear IPS panel technology provides best-in-class image quality with accurate and vibrant colors from any viewing angle: from the top, bottom, front or side. 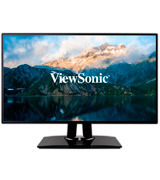 The ViewSonic VP2468 is a pre-calibrated professional level monitor with a rotatable screen and height adjustment which includes a number of professional color settings. Due to the Flicker-Free and Blue Light Filter technologies, your eyes will not get tired even if you work long hours. A feat for 3D designers and architects—the CAD/CAM mode enables highly precise and detailed displaying in modeling applications. The built-in speakers could be better. 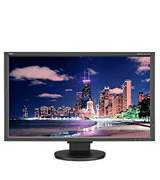 BL2420PT is, without any doubt, one of the best monitors for novice photographers as it provides great functionality with a wide range of settings, and all this at a reasonable price. Oh, this is the best monitor for Adobe Photoshop! 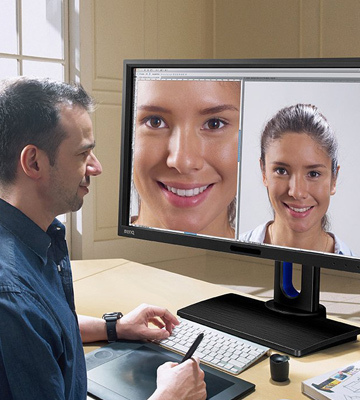 With Dell UltraSharp U2715H you will experience great image quality and enjoy 16.78 million colors. 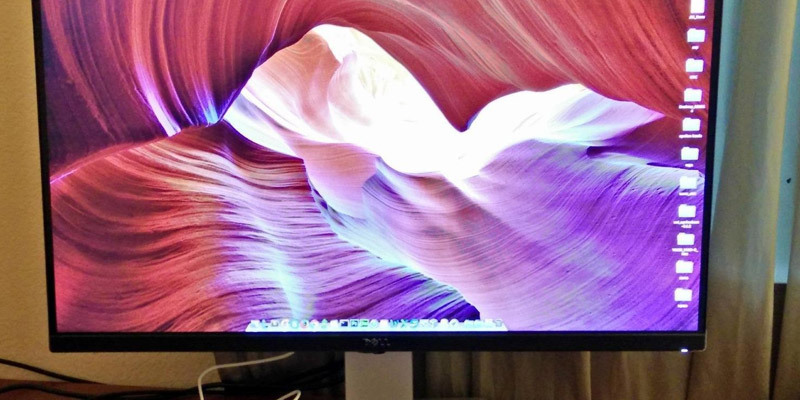 The monitor has a fantastic clarity on a large 27” screen with QHD resolution (2560x1440 pixels). 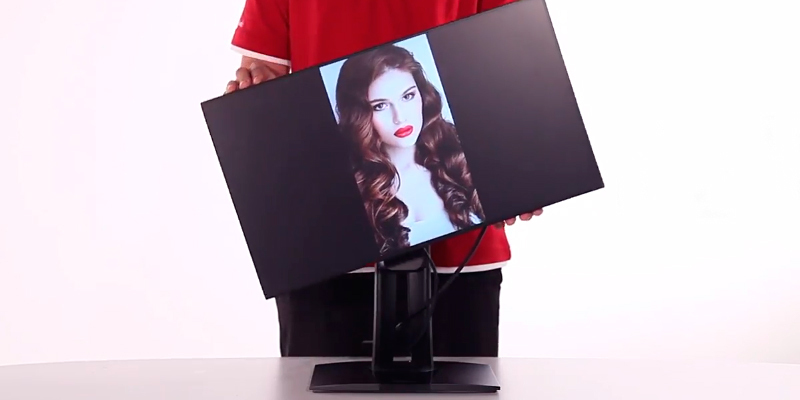 Also, this model has the AH-IPS panel which is the newest "hot" technology. 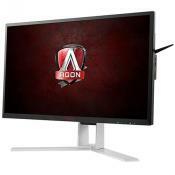 It will rid you of most shortcomings of previous versions of IPS displays. Thanks to a thorough factory color calibration, this type of panel is capable of reproducing 99% of sRGB color gamut. It is self-evident that you can adjust brightness, contrast, and sharpness. So, you will get exceptional color clarity right out-of-the-box. This model features a matte screen without any "crystal" effects. 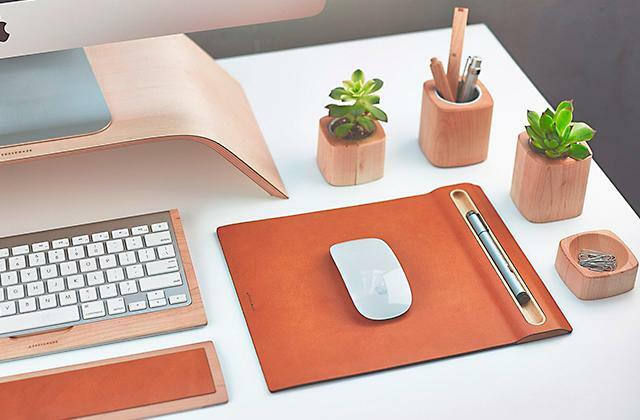 Such surface allows you to work comfortably even in a well-lit room. 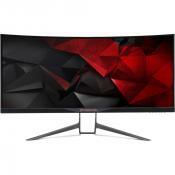 The manufacturer provides an amazing choice of different display sizes as well as the option of using two monitors on a dual stand. 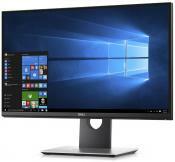 Dell offers 6 UltraSharp monitors, 27" (optimal), smaller - 25" and 27". Still, if you have plenty of space on your desk, you can even choose one of the following gigantic models: 29" Ultrawide, or 34" Curved. 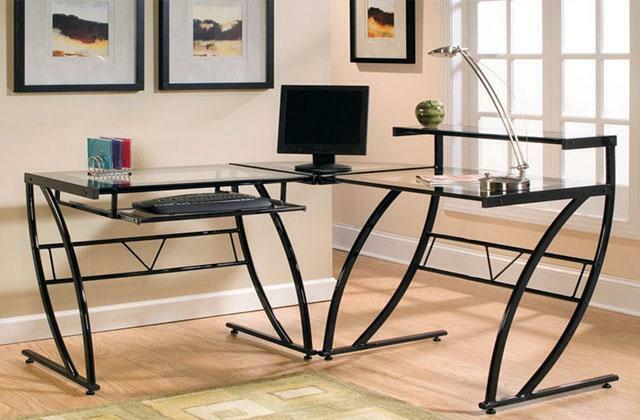 In general, you can organize your workspace, without overpaying for extra inches and losing on functionality. The best monitor for photo editing ever! This photo editing monitor comes in stylish black and silver finishes. Concerning the screen, it has rounded corners and its front bezel is a matte black plastic that makes the outer edge of the screen rather thin. 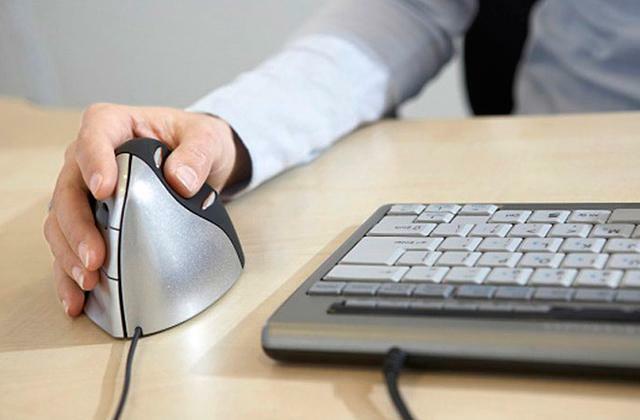 The display provides a full range of ergonomic adjustments. For example, the tilt is smooth and easy-to-use whereas the height adjustment is simple and effortless. 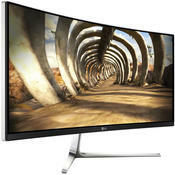 Of course, this premium Dell monitor offers a wide range of angles to choose from (90° clockwise or counter-clockwise). 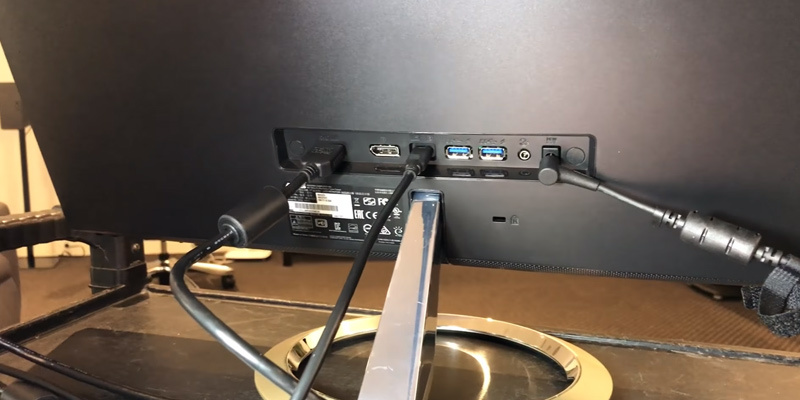 It also provides various connection options - 2x HDMI, DisplayPort, Mini DisplayPort, DisplayPort out , and 5x USB 3.0. By the way, USB ports can also be used for charging your gadgets. And, finally, the Easy Arrange function is very useful for photographers and designers since it allows them to drag and drop windows and arrange them properly in most convenient way. So, if you are still looking through tons of computer monitors for designers or architects, don't do it any longer! Just buy Dell! Nice size/resolution, beautiful design, thin bezel, nice controls, nice software options (shutting off/dimming the monitor on screensaver is handy) good amount of options on the onscreen menu, decent refresh times, does ok at gaming. The color reproduction is superb out of the box, and with calibration it is amazing. It stays in calibration for over a month with no problem. Touch sensor menu buttons aren't terrible and I got use to them very quickly. Menu itself is clear and easy to use (classic dell menu). 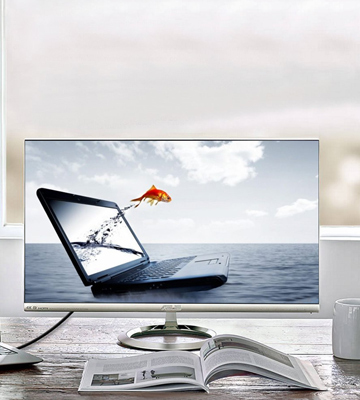 Connectivity is another strong side of this monitor. It supports DP1.2 but it has to be switched on in the menus. Does not support VGA and I see this as a positive. 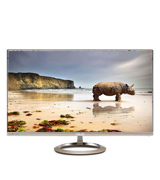 NEC EA275UHD-BK-SV features an AH-IPS panel with the maximal resolution of 3840 x 2160 pixels, 350 cd/m² maximum brightness, 1000:1 contrast ratio, 178-degree viewing angles, 10-bit color depth and W-LED backlighting. 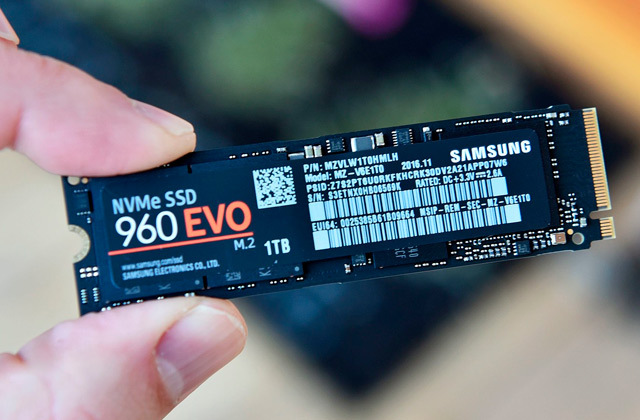 Note that for multimedia with sub-4K resolution the company has come up with NEC UP-Scaling technology that dramatically improves image clarity. 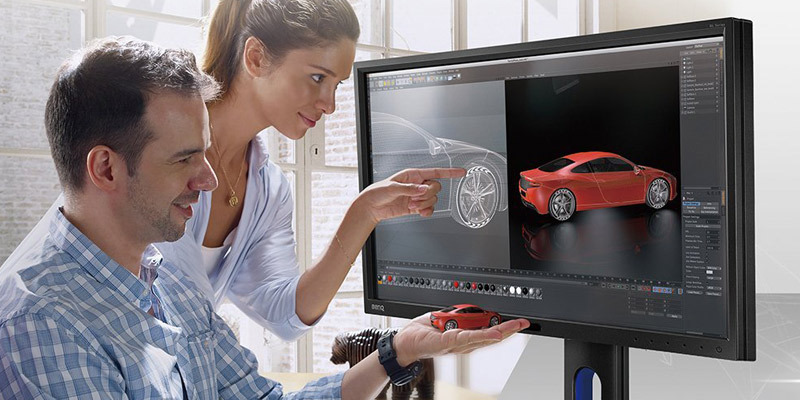 A clearer picture on the screen of this 4K monitor allows you to detect even the finest details without zooming in. This means at least two things: a photographer can spot all shortcomings very quickly and there's no need to zoom in all the time. A unique feature is the DICOM SIM profile which meets the current medical standards and allows viewing X-ray images. Why is the 4K resolution so important? Even modern smartphones make photos with a resolution of 4032х3024 pixels. That is why professional photographers choose 4K displays for enhancing their images. 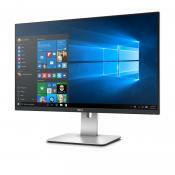 The NEC EA275UHD-BK-SV is a 24-inch, 4K (3840х2160 pixels) desktop monitor. So, if you want to view Full HD (1920х1080) photos, you will have to 4x zoom it in. This way you'll never skip a flaw and have a chance to achieve a higher image quality. For those who are engaged in professional photo editing, this is truly important, for if the image looks nice and detailed on a Full HD screen, it won't necessarily look same perfect on a screen with a higher resolution. 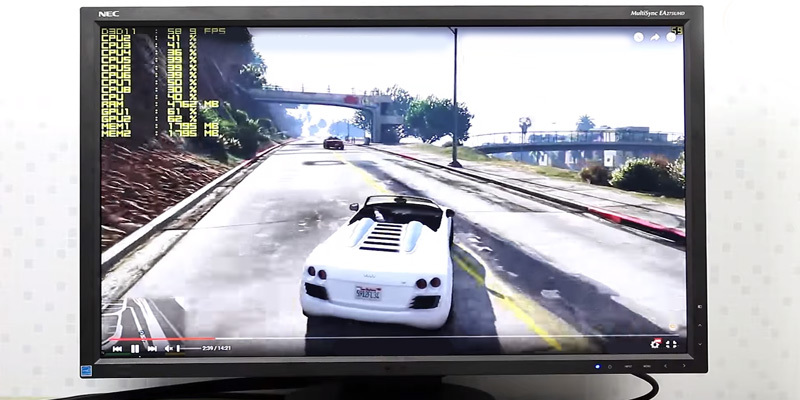 That is why 4K monitors are so popular and demanded by pro users. 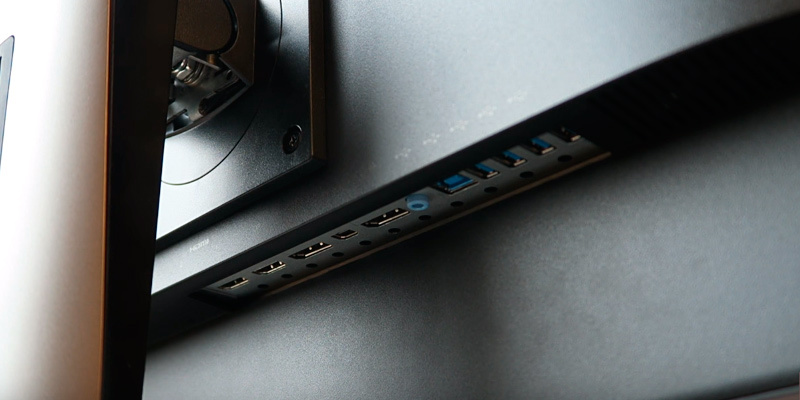 The EA244UHD provides a wide range of connection options: DVI-D and DisplayPort 1.2 connectors, 2 HDMI ports, and 2 DVI inputs. Also, the device has 2 USB 3.0 ports and a Kensington lock. NEC EA275UHD-BK-SV has an external calibration software to work with SpectraView II. By the way, this monitor has 2 built-in speakers (1 Watt each), so it's not necessary to buy an additional acoustic system. This NEC monitor has 2 unique features: Human Sensor and Ambient Light Sensors. They will automatically adjust brightness according to your lightning, thereby saving power. 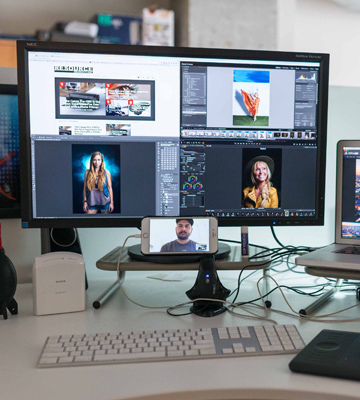 This monitor for photographers can be connected to 6 other monitors to display the same image at a time. This is a very helpful feature most designers need for work. Fantastic! I wish it had more connection options. 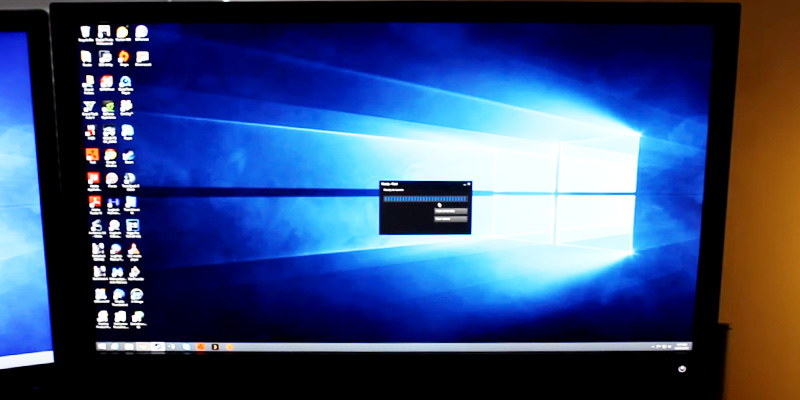 I had difficulty connecting windows desktop and mac laptop to it at the same time and in the end use it only with windows desktop. 'm a photographer, so a high quality calibrated monitor is what I wanted, this is it. 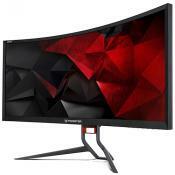 I have another bigger monitor which isn't quite as good, should've bought 2 of these instead. It provides a high quality high resolution for use with photoshop for today's high resolution camera sensors. I use this monitor for processing images for printing and for sale. I need accurate and complete color gamut and brightness, such that my prints look the same as prints as they did on the monitor. Also, I Share a lot of images on Flickr and Facebook and want control of how my images look there. My rating is really 4.9. My only complaint is the USB ports must be accessed up from the bottom of the monitor. It appears that the pictures on the NEC site were taken with the monitor laid on its back. 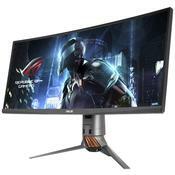 ASUS Designo MX27UC is a nice option no matter how you look—from design to specs, it's a good photographer monitor that rivals the much more expensive ones. Let's take a closer look. 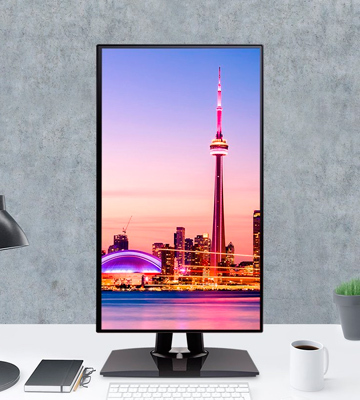 This is a 27" UltraHD monitor with 4K support, which means you'll be able to open quite a few windows with apps/tool panels and see three times as much data as from a 27" FullHD monitor. The detail displaying is over-the-top great, in part thanks to the IPS panel with sRGB color gamut and 178°/178° viewing angles. 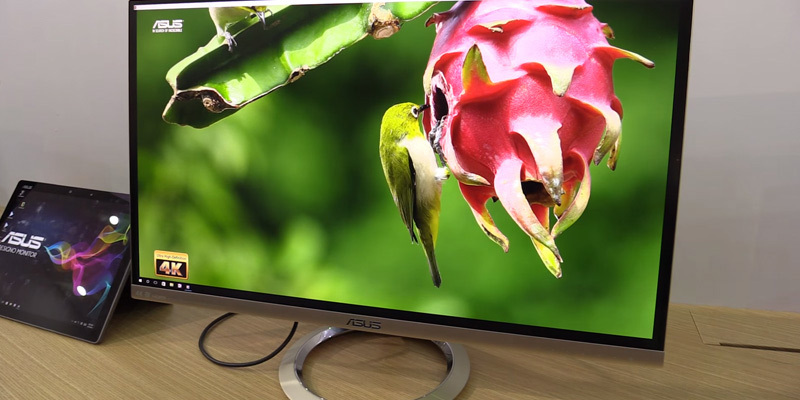 The ASUS Designo MX27UC is one of the best monitors for photographers as well as video editors. As a bonus, you can charge your gadgets via USB port directly from the monitor when all your computer ports are busy. And to top it all, this frameless monitor looks really good and sophisticated. ASUS Designo uses a unique SonicMaster technology to enhance the sound. This technology was developed by ASUS in cooperation with Bang & Olufsen ICEpower, a Danish company that produces sound amplifiers. 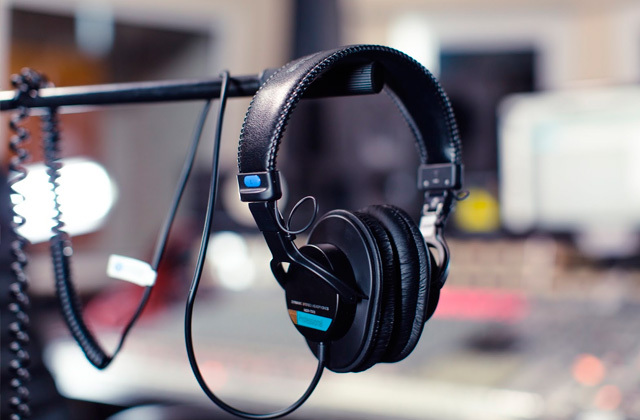 Thanks to this solution, the monitor's built-in 3W speakers offer the clearest sound at a wide frequency range. You can select one of three audio modes—three presets (listening to music, watching movies, gaming) and a manual setting mode. The flicker-free technology is not exactly an innovation but it is still a good thing to have in your monitor to help with eye strain, and here you will find it, too. There are also eight display modes for you to choose from depending on the tasks at hand (reading, gaming, night work, etc.). A unique SplendidPlus Video Intelligence technology will help quickly adjust the image. 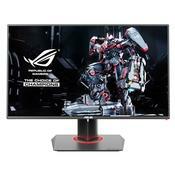 ASUS never forgets about gamers, of course, as they are the most passionate when it comes to computers in general and monitors specifically. In this model, avid players will find a GamePlus mode where there are four crosshair options and a timer indispensable in real-time shooters and strategies, as well as FPS counter. The mode settings can be accessed through the OSD menu. The monitor is designed with stylish contrast in mind and was duly recognized: the strict frameless body and sundial-shaped stand of the Designo MX series had received the iF Design Excellence Award. 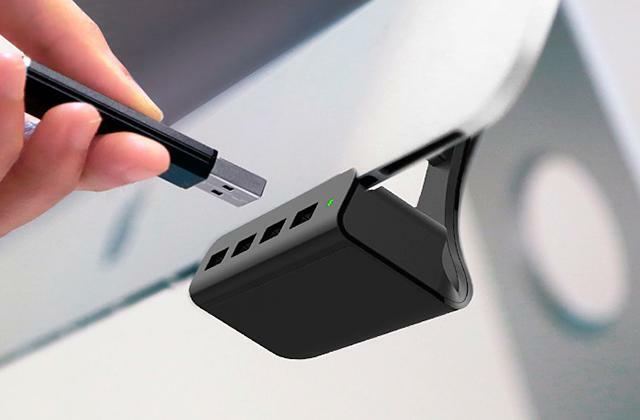 It charges my laptop and connects any additional devices (I went with wireless magic keyboard and track pad, so I have one charging cable plugged into the monitor that I use to charge either my phone, keyboard or trackpad at any time). I use this screen for gaming, my wife uses it for office work. 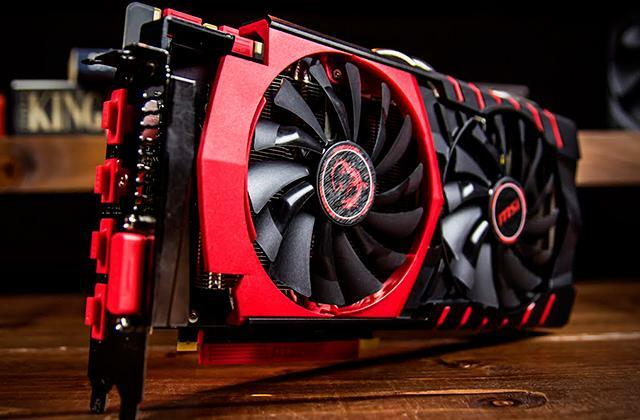 It's good for both purposes although it does have a 5ms response time in case those 5 milliseconds are highly critical to your gaming performance. I also tried out the speakers. 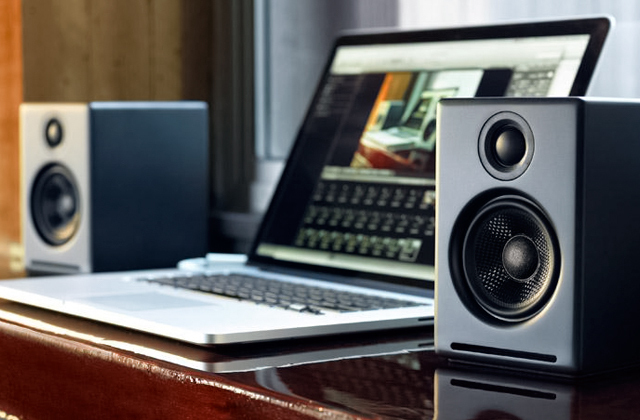 Chances are you will never use them, but they are better than most monitor speakers. 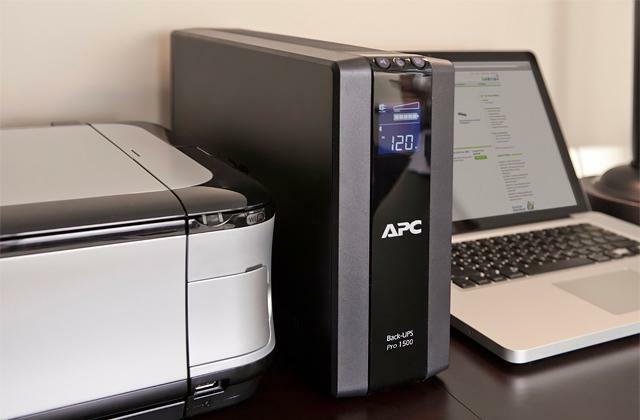 Don't expect them to replace desktop units; definitely not tinny. In addition, they fire to the sides, making it odd during directional action scenes. 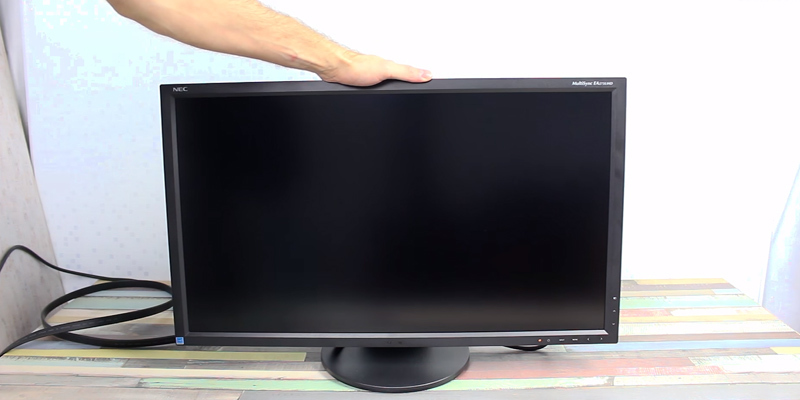 Although the VA panel offers superior contrast ratio and slightly less “IPS glow”, the downsides (washed-out colors and poor viewing angles) are much more noticeable coming from a high-quality IPS monitor. In some respects, it almost feels like I’ve downgraded to a TN panel. The VP2468 pre-calibrated monitor is equipped with a specially designed by ViewSonic Colorbration which includes the functions of equipment calibration for long-term accurate color transfer. In addition, this professional color management monitor features a number of professional color settings, including preset color modes with EBU and REC709, pre-calibrated non-uniformity correction, 14-bit and 3D LUT, 5 gamma settings and 6-axis color adjustment, that provide accurate color reproduction and allow for customization. 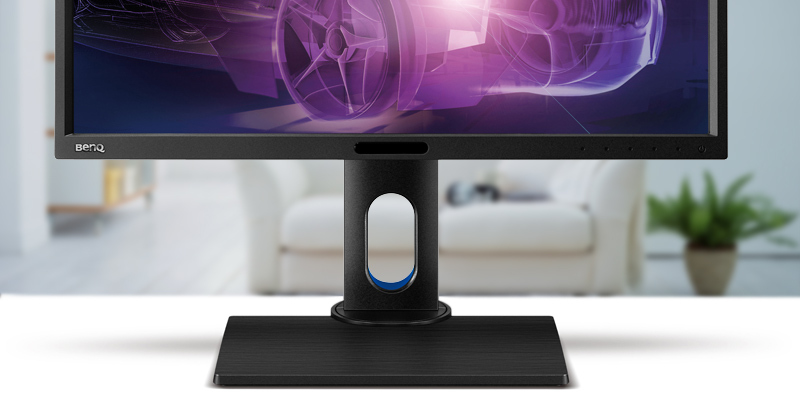 Due to the SuperClear IPS panel technology, lack of a frame, convenient stand, and adjustable base (turning, rotation and height of the monitor), the VP2468 monitor provides the best viewing experience at any viewing angle. In general, this monitor is truly multipurpose. You can not only work with graphics, but also process videos, watch movies, play even dynamic games and, of course, do typical office work. 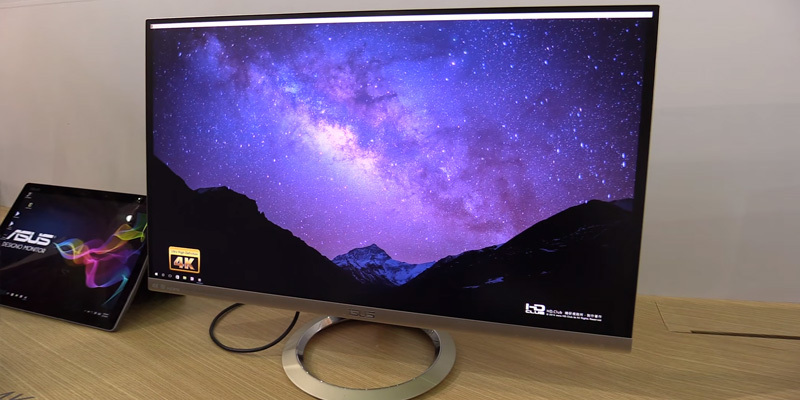 The VP2468 monitor's design is a step towards users and a completely new vision of how a modern professional monitor can look. 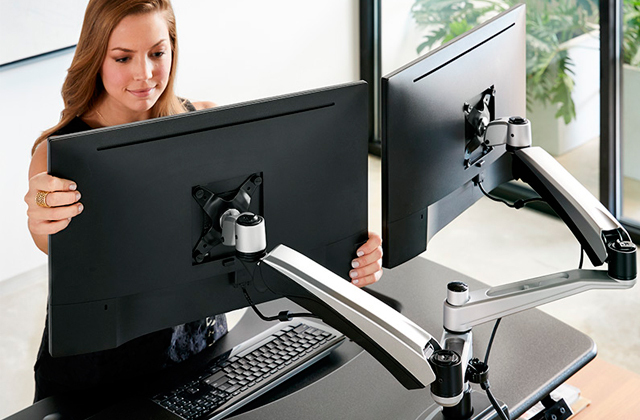 The VP2468 monitor provides the full range of settings for increased efficiency, including rotation, tilt and height adjustment. Due to the built-in gyroscope, the image on the screen can automatically rotate if you turn the screen vertically. 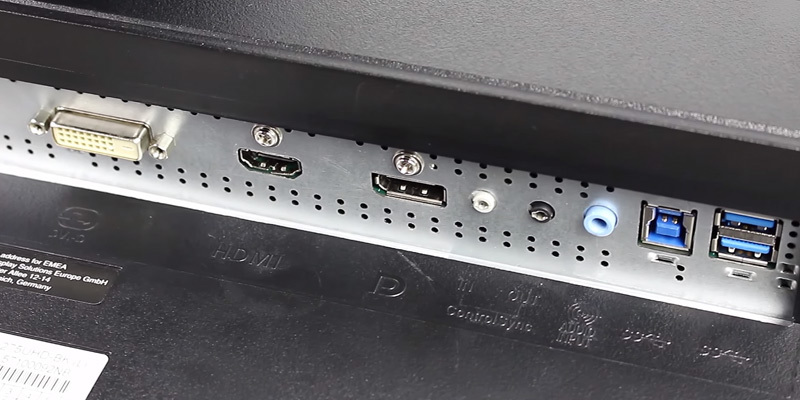 All the main connectors are located in the back of the monitor case and face downwards. 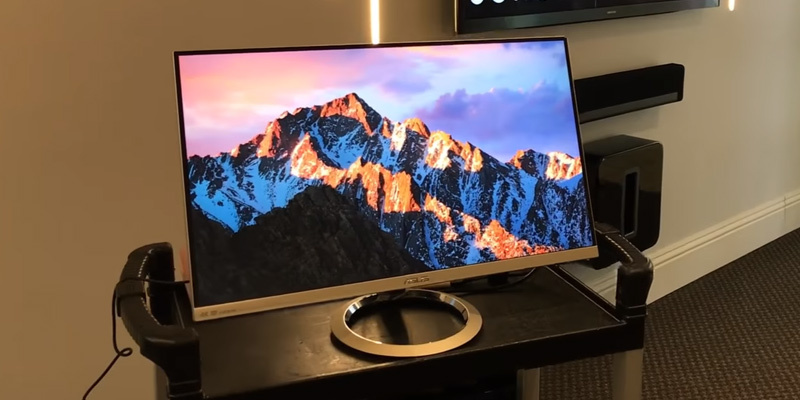 The monitor can be rotated 90 degrees so you should be able to connect and place it at a convenient angle to you. 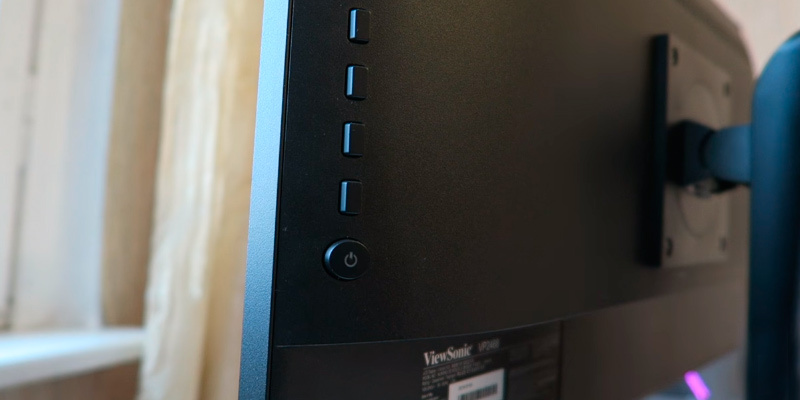 As opposed to the majority of monitors for photographers, the control buttons of the VP2468 are placed at the back. Due to that, it looks very much like a frameless one. 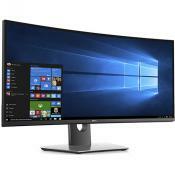 Dell UltraSharp U2715H IPS: 8.07 in. 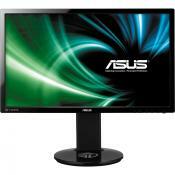 ASUS Designo MX27UC: 4.8 in. The monitor's menu system is rather odd, in my opinion. The physical interface is OK for me. But having to choose between a factory color mode (one category) and a custom mode (another category) and a calibrated setting (nested in the factory mode menu for some reason) is not intuitive. I bought two monitors as more work space was needed for colorization. 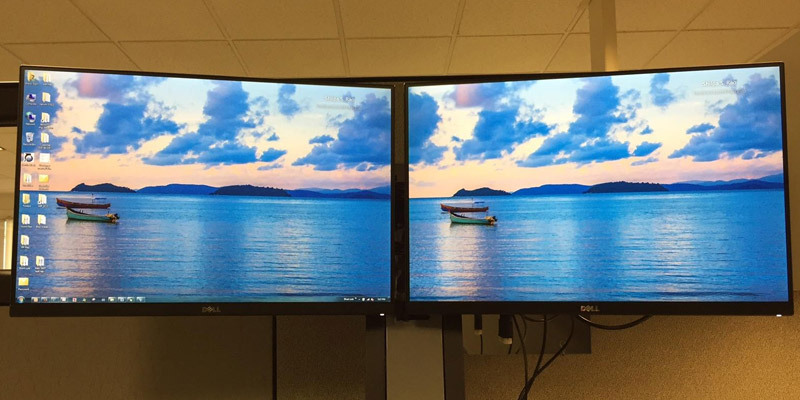 These border-less monitors look great and perform well and allows for color matching across spectrum. Calibrating these monitors are a snap. The remain cool under hours of use and the color pops. Works great with Macbook and photo apps (Lightroom, Photoshop, OSx photos, etc.) as well as all the other day-to-day apps. And the USB port is remarkably convenient for all those devices. Unless you want an excellent monitor. 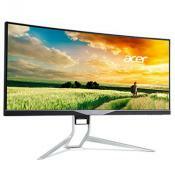 This is an amazing all around monitor, I really like it. Gamers might complain about the pixel response time, no one else will notice it. Among those only starting their journey into photography and photo editing, not everyone is willing to spend a fortune on a professional monitor, right? Luckily for these sensible individuals (and for those with a limited budget), there do exist some worthy and capable options in the affordable cost segment. 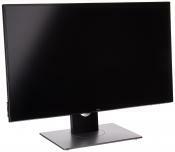 Like this BenQ BL2420PT designer monitor for photo editing. There are some peculiar functions in this model created specifically for designers. For example, the CAD/CAM mode—a special mode developed for 3D designers, it adjusts the contrast of the color lines on your 3D model to the point when each detail is easily distinguishable even in the most complicated images. Or the animation mode that makes small textures on the dark parts of the image more obvious without overlighting the not-so-dark parts. Additionally, we'd like to bring to your attention the Display Pilot software. This software is designed to adjust and save display settings like auto image pivoting, PIP, windows locations, etc. for specific apps (initially, for games). When you launch the app, Display Pilot will automatically apply the settings without you having to tweak them every time. It's not much of a secret that all monitors emit blue light which is harmful to human eyes and leads to tiredness and headaches. The BenQ BL2420PT photographer monitor has not one but four Low Blue Light modes to adjust the emission. And another feature to lessen the eye strain is, of course, Flicker-Free. When it comes to looks, the BL2420PT is fairly standard if a bit old-fashioned—sharp lines make the black matte plastic body look somewhat "heavy". 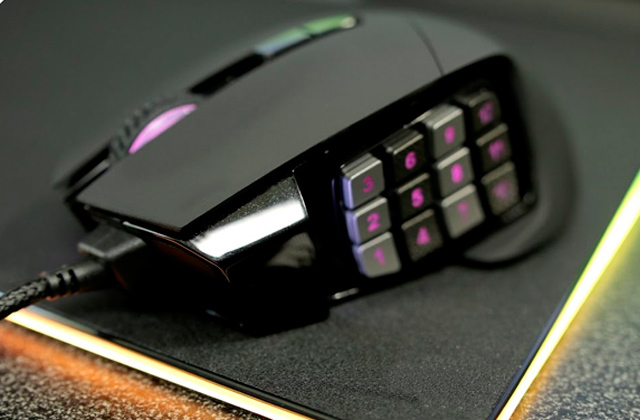 However, it does have flexible ergonomics settings: you can adjust height, pivot, tilt angle. It is a monitor for comfortable work. There are also plenty of interfaces: an analog D-Sub and digital DVI-D, HDMI 1.4, and DisplayPort 1.2. Digital ports offer the best resolution, naturally. And, of course, you'll find two USB 2.0 ports for additional equipment and 3.5mm audio in/out. The only drawback here is the quality of the 1W built-in speakers. It is, in fact, lacking, we highly recommend using earphones or standalone speakers when you listen to music or enjoy a movie. 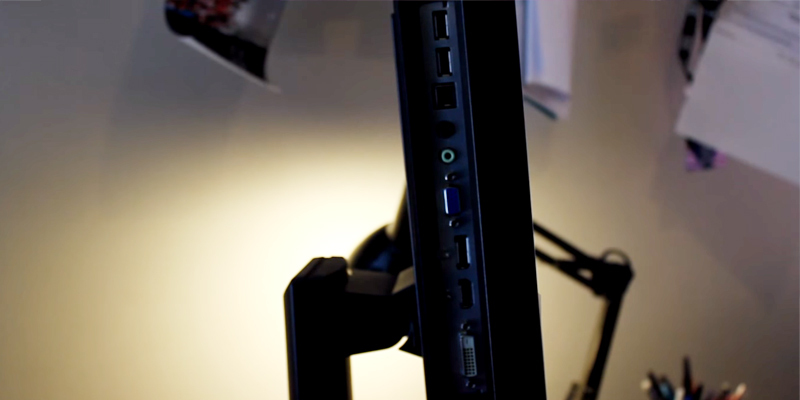 For the wires and cable to not get in your way on the desk, the monitor's stand has a special hole for them. And at the top of the stand, you'll find a hook where you can hang your earphones. 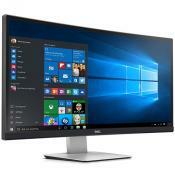 Dell UltraSharp U2715H IPS: 20.67 in. 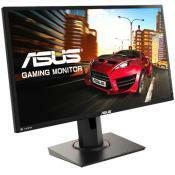 ASUS Designo MX27UC: 21.2 in. Without a doubt, this is the best monitor I've ever owned. It manages to go right to the saturated edge of sRGB so the colors look great without that higher color gamut oversaturation. What I love the most are the 8 preset picture modes. As a mechanical engineer, I like the Presentation and the CAD/CAM modes the best, but the Standard mode is all-around excellent for almost everything. The SD port is a bit aggravating to get to on the lower right bezel but is not an issue really worth mentioning. I would imagine so would be the same on most other monitors of this size. I'm sure the USB and SD ports would be easy to find after a couple uses. What is a Monitor for Photographers? If you work with high-quality photos or draw a website layout and logos, you surely need a special monitor to edit and enhance your pictures. So, a professional monitor is one of the essential devices for you. It goes without saying that a good monitor will dramatically improve or maybe even change your photos. What exactly is the monitor for photographers? 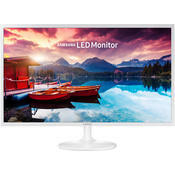 It is a specific computer monitor that enhances brightness and color rendering, thereby providing you with the ultimate image quality. 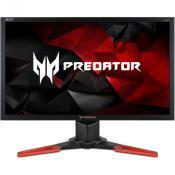 But if you are looking for a high-quality computer monitor for other purposes, look through our best computer monitor or best gaming monitors reviews. 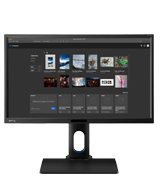 The modern market offers a huge variety of monitors for photographers and there are many requirements for them. We've decided to make a choice simpler for you and reviewed the best computer monitors by their essential features. Image quality is a very important feature and it depends on the panel used in each device. Almost all devices for photographers have an IPS (In-Plane Switching) panel. This is a cutting-edge technology that has some sub-divisions: AS-IPS, S-IPS, E-IPS, and H-IPS. The panel can show a very large number of colors (close to 100% of the sRGB colors). Also, the colors are no way distorted while looking at the screen from various angles (can be viewed pretty well above 170 degrees). The IPS panel also provides good contrast, brightness, and deeper black. When it comes to photo editing, a color gamut plays a very important role. 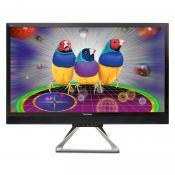 It is a specific range of colors that a monitor can display. Photo editing monitors are divided into 2 categories: Standard Color Range (sRGB) monitors and Wide Gamut RGB (extended gamut) models. Standard color range monitors are generally capable of displaying all the colors of sRGB color gamut, while monitors with a wide-gamut RGB are capable of displaying a larger number of colors. On the one hand, extended color gamut monitors are perfect for some specific photo-editing applications. However, photos on the Internet are virtually all sRGB, and what's more important, our browsers can display only sRGB gamut. 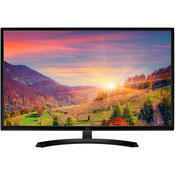 Thus, sRGB monitors are rather widespread and satisfactory for the vast majority of users. Most screens have 2 major configurable features: Brightness and Contrast. Brightness refers to the overall lightness or darkness of the image. Contrast is the difference in brightness between objects or areas. Which screen is better? With a glossy or matte coating? Both these screens are great. A glossy screen is fantastic for entertainment: for example, for watching movies or videos. And you may think “wow” when you see such display at first. Glossy displays provide more vivid color and better contrast. The only problem is that they reflect light, which can cause a color disbalance. Matte screens are “anti-glare” as they prevent reflections. Matte displays keep glare better due to a polarized coating over the glass. So, you will be able to see a matte screen even in a very bright room. Screen size. There is little to say about this aspect. 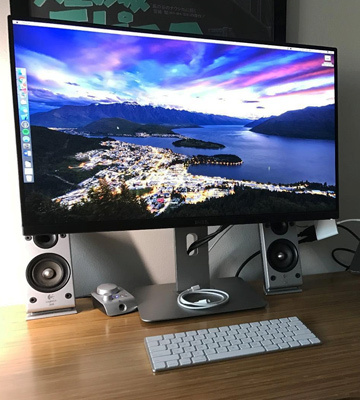 24"-27" displays are perfect for photo editing. They allow you to view pictures at a wide resolution. 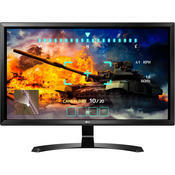 For example, most standard 27-inch monitors feature the resolution of 2560x1440 pixels, but the most sophisticated models can provide you even with 4K (3840x2160 pixels) resolution. The viewing angle is a pretty important feature to consider since if it's too small, the contrast changes and the colors are transformed. Thus, it is vitally important to choose a display with wide viewing angles. If you work with a variety of vertically-oriented content, it may be convenient to have a display that rotates around its stand in different directions. Nowadays, almost all models are fitted with a digital connection, HDMI or DVI. You should also check which ports are available on your computer. Note that many monitors let you plug in more than one video input and switch between them. This is really convenient if you prefer using a monitor together with your workstation and laptop. 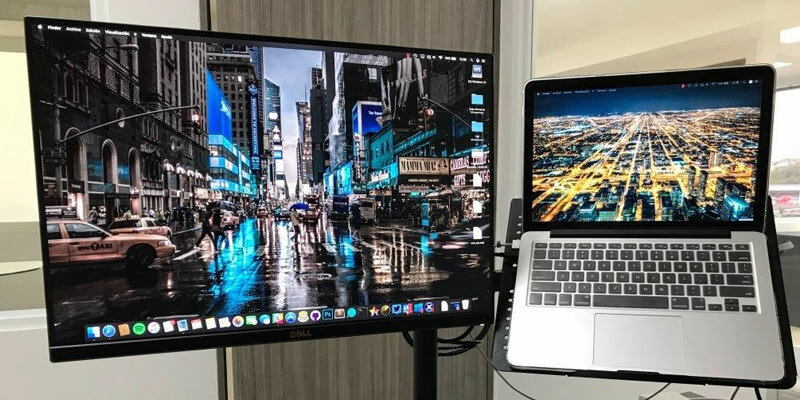 Finally, don't forget to check the availability of USB ports; some monitors for photographers can even have the whole USB hub, which is very convenient if you need to connect lots of storage drives and peripherals. 1. Glenn Harper How to Choose the Right Monitor for Photo Editing, Digital Photography School. 2. Jason Row How To Choose the Best Monitor for Photography, Light Stalking. January 22, 2013. 3. 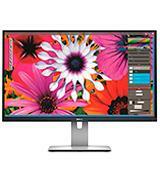 Aimee Baldridge Choose the Right Monitor for Photo Editing, X-Rite. July 18, 2013. 4. 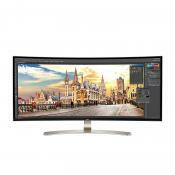 How to Buy a Monitor for Photo Editing, The Phoblographer. May 30, 2015. 5. Nasim Mansurov Best Monitor for Photography, Photography Life. January 20, 2015. 6. Christian Eberle How To Shop For A Professional Display, Tom's Hardware. June 12, 2016. 7. 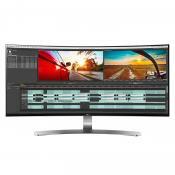 Jim Fisher How to Choose the Right Monitor for Photo Editing, PCMag. April 4, 2014. 8. How to choose the best monitor for designers, photographers, artists and video pros, DigitalArts. 9. Matt Smith Editing Digital Photos? 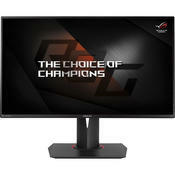 Pick The Right Monitor & Configure It Properly, MakeUseOf. October 10, 2014.